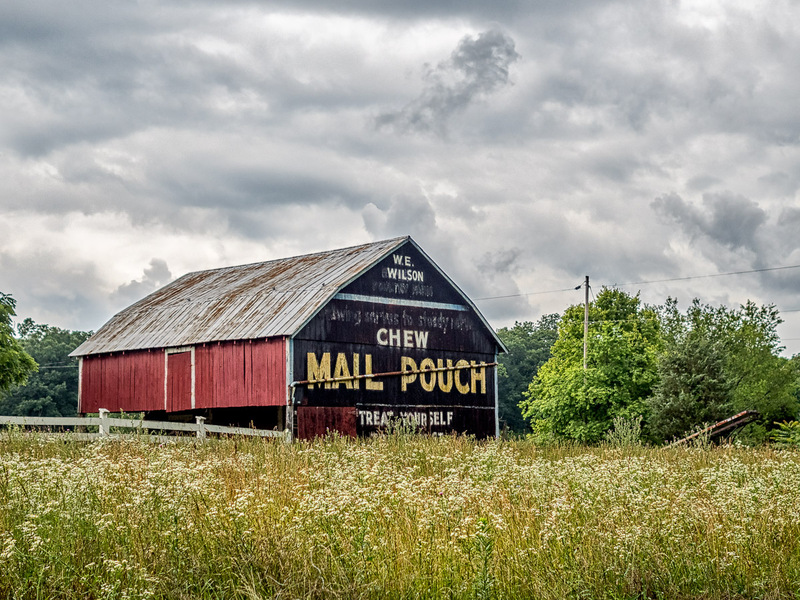 I have travelled Route 9 between Martinsburg and Berkeley Springs dozens of times over the last few years and every time I pass this Mail Pouch barn and wish I could stop and get a shot of it. Finally I had the opportunity. A spot across the road had been clear to give me a place to pull the car off the road. At the same time, I noticed a person up the driveway next to the barn so I walked up and talked with him and asked permission to photograph the barn. He said I might as well because “everybody else does!” But he had no problem and I promised that I would get a print to him, which has been sent. If you would like to purchase a print of this image, please email me. ~ by Admin2 on August 1, 2015.